I’ve heard many times during my career about the desire of many individuals to own a bar and/or restaurant. “I’d love to have a restaurant when I retire! My family could help run it, it would be so much fun!” Wish I had a nickel for every time I heard something similar, I could retire. Perhaps it’s the glamorous profession that is put forth on Cable TV these days, often painting the food and beverage industry as somewhat easy and ‘oversimplifying’ the endeavor. The reality is one of very long hours, often frequent turnover, and a steely eye scrutiny from everyone, your owner, superiors, guests, and the state. The most overlooked aspect of our business is maintenance; upkeep of equipment and facility. The budget for upkeep is commonly overlooked. You only have to look at several shows on the television that speak to redoing or warming over a restaurant’s interior. That’s the superficial stuff, what about the equipment? What about the stuff we take for granted like plumbing and electrical? The stuff you don’t see is where the budget should be spent, the bones of the place. At Webster’s Prime, we are going through such a maintenance concern. We’ve replaced our antiquated walk in cooler with a brand new walk in cooler/freezer combo that runs more efficiently, uses less electricity, and is proving to make our job much easier. We have been approved to install a new dishwasher, the unit has been ordered and is being shipped. While doing these two projects, another concern came up. All of you who have tackled personal home improvements can insert your own comments here, the expenses always go up when you start peeling back the layers! We found we needed to upgrade our hood venting system. No big deal I thought, pull out the old and insert the new. I was most worried about the capital budget process, how was I going to pay for it and who would give me bids on such a thing? Turns out these were the least of my worries. I should explain. Unlike your basic hood range at home which can be vented or unvented, the hood system at Webster’s involves a roof mounted system and tons of duct work. Of course, the duct work runs right across our dining room above the ceiling. With our ceiling being drywall, I now know the reason most restaurants have suspended drop tile ceilings or have no ceiling at all, leaving everything visible. The contractors will have to rip down the ceiling, do the vent work, apply new dry wall, tape, mud, paint….you’ve all seen those shows on the home networks I’m sure. Only problem is, they’re not ‘crashing’ our restaurant and it won’t all be done in 3 days no matter how many friends we bring! Nate, Alana, and I had to break the news to staff as well, a two week window from April 2nd to April 16th where our restaurant will be limited to working out of the kitchen at Burdick’s for Breakfast (our very gracious neighbor in the Radisson). We’ll have to close the dining room and kitchen in Webster’s for the construction. We’ll keep our Tasting Room open, but that leaves very few shifts for our staff. It was hard to tell them, they work very hard, are exceptional at their craft of servicing guests, and have bills to pay. Many are college students who count on Webster’s as their sole income. Being in the Radisson, we’ve reached out to other outlets and will have some available cross training, but not enough I’m afraid. We hope our guests will enjoy our finished project, problem is our restaurant isn’t being remodeled, we’re not being ‘made over’, we’re just maintaining. Sure the ceiling will have a shiny coat of paint and guests will see that, being more efficient with electricity and the use of water, guests won’t notice. Nor will our guests see the countless hour’s staff will put in moving things and cleaning things and taking loads to the dumpster, etc. all the normal things you do with any home improvement project. So the next time someone comments about wanting to own a restaurant, I’ll put on my smug face and wish them well in the endeavor. Maybe pass along my card if they might have any questions or need a consultant. The easiest part might be the cooking and food, the hardest…right now I’d have to say maintenance! If you have read some of my previous blogs you will know that I am an avid beer drinker. What you may not know is that I have toyed with the idea of brewing my own beer for about two years now and have always found myself dreaming, thinking, and wondering if I could even do it. Words like fermenters, airlocks, and carboys danced in my head, and intimidation set in like the hair of the dog on a Sunday morning. Well on my recent birthday my loving boyfriend had purchased me my first home brewing kit as a present. I was so surprised and I am obviously thrilled, but now I have no more excuses. It’s time to brew. Equipment, it’s not so scary, like anything else everything has its name. A fermenter is nothing more than a pail or a bucket. Plastic, with a wide top. Most beer making shops sell buckets in 6 – 7 ½ gallons in size and their lids will have drilled holes in them for airlocks. An airlock is a one-way valve that lets the carbon dioxide out that will be produced during fermentation, and it also keeps the air out as to not affect your wort. Wort is the solid grains (malt/hops) that are separated from the sugary broth that the grains have been boiling in during the brew. 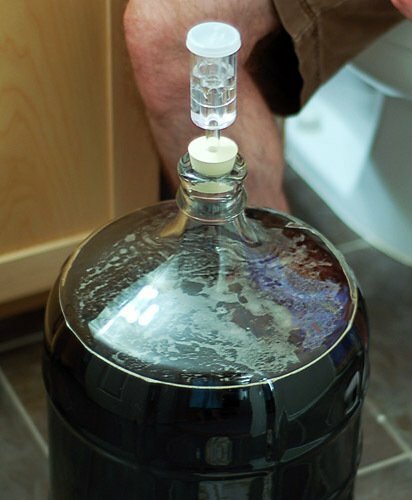 A carboy is simply a five gallon glass water bottle that can be fitted with a stopper and an airlock. Carboys are used as a secondary fermenter when brewing beers that have an extended fermentation time or aging periods, such as a lager. A large stainless steel pot, 16 – 20 quart capacity, this will be your brew pot. 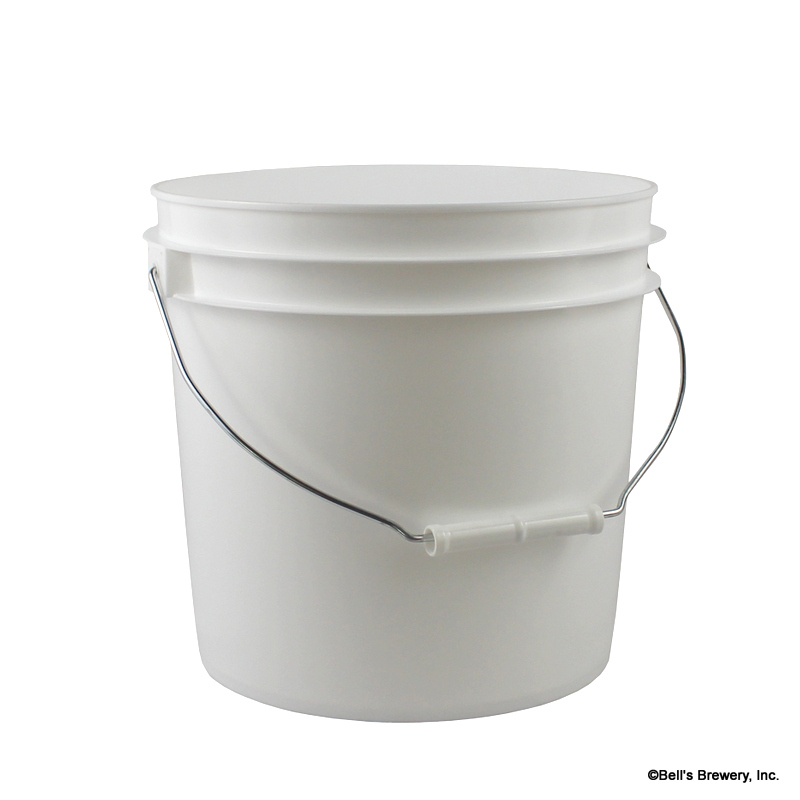 A large vessel for fermenting, like a plastic bucket in 6.5 – 7 gallon capacity. You’ll want a bucket with a lid that comes drilled and grommeted to accept an airlock. An airlock, which is a small plastic water valve which gets placed at the top of your fermenter (the plastic bucket,) that lets CO2 escape without letting outside air in. A siphon set-up, this is all of that plastic tubing, with various rigid tips for transferring beer between your buckets and bottles, five foot in length of 3/8 or 5/16 inch inside diameter. A strainer, cheesecloth or fine nylon on top of a kitchen colander would be great. A bottling bucket, which is a second plastic bucket with a spigot at the bottom. Bottles, long necked and brown in color with non-screw top bottles. You’ll need two cases of 12-ounce bottles for each 5 gallon batch of beer. Cleaning brushes, a bottle brush and a carboy brush. A Hydrometer, thermometer, pH papers, or a pH meter will also prove to be helpful. Once we have all of our equipment, then we’ll be on our way to home brewing. Check back in a few days and we’ll explore the next step, purchasing ingredients for the first brew. We will use only four ingredients – barley malt, hops, yeast, and water. Brewing in its purist and simplest form. 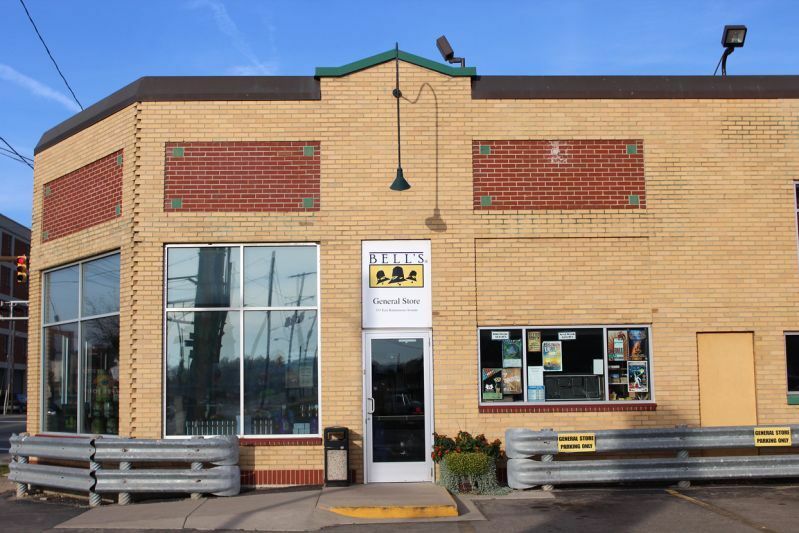 I am going to visit the Bell’s General Store where they have lots of home brewing supplies. I’ll probably start with a Pale Ale or an IPA for my first brew, and I look forward to exploring the world of home brewing with you soon.